I still have a few weeks before I go back to school but I've started thinking about what I'm going to need for my new apartment, it will be my second student housing apartment. We don't have air conditioning so I know I need fans and light clothes! 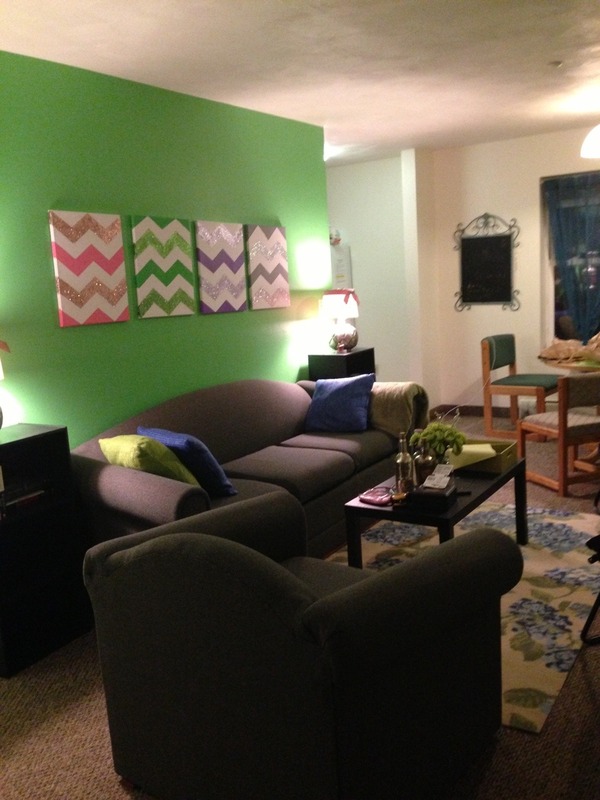 Here are just some other school apartment essentials, you might not really need in a dorm but are really nice to have in an apartment. Kitchen: My campus apartments also don't have dishwashers so paper plates and plastic cups are pretty great so you don't have to wash them! Our kitchen was also super small last year, and we had meal plans, so we didn't do a whole lot of cooking. But it was still really nice to have a few pots and pans, cookie sheets, and mixing bowls, and measuring cups! And if you also don't have a dishwasher, a drying rack for the just washed dishes is very helpful! Bathroom: Some people might have had bathrooms in their dorm rooms (like me, it was the best) then you probably already have most of what you need! But if you had a communal bathroom, my roommates and I used some shelving under the sinks, little bins for hair dryers, straighteners, etc. a rack in our shower for all of our products this past year. And although we never really kept it clean, it did help to have them. Living room: Our apartment living room area came with a couch, a chair, a lamp, a "kitchen" table (quotes because they weren't really in the kitchen) and chairs. My awesome roommate and best friend Hannah basically set it all up for us. She got a rug, a coffee table, pillows for the couch, some bookcases, lamps on and some extra chairs and lots of cute decorations! And then I got a little table for our microwave and Keuring. I think we had a nice set up and we always had enough seating for everyone who stopped by! 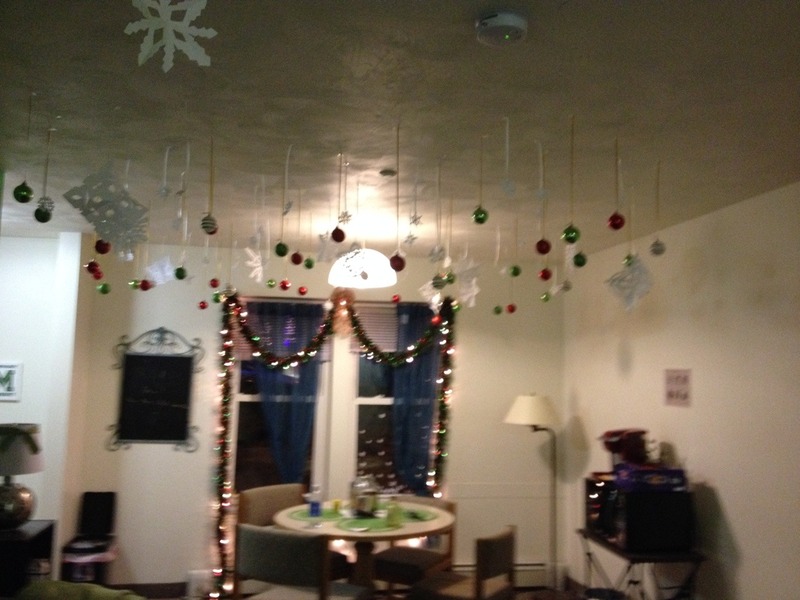 The beginning of last year, the green wall was already there too... Not the best picture, but decorated for Christmas! Thanks for reading! I love the chevron art! !